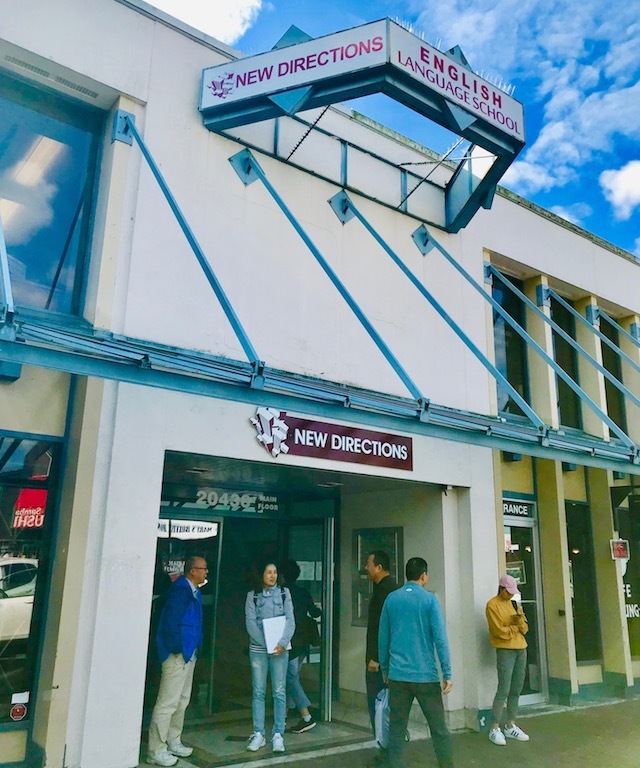 New Directions English Language School - Welcome! Our ELSA students attending the Olympic Torch relay in front of New Directions. For over 20 years, New Directions has been commended for quality of service, financial accountability, integrity, and the ability to develop and maintain community partnerships. The Administrative, Supports, and Teaching Personnel of New Directions must meet the highest standards of Certification and Security Clearance. We provide Language Instruction for Newcomers to Canada from LINC 1 to 8 within the British Columbia Federal LINC Program. We also provide Vocational testing and Assessment services to people and organizations in the Fraser Valley Region. 1.To plan and provide direct English Language Instruction to our community with professional, certified Teaching Staff. 2.To be a leader in ensuring Langley is an inclusive community, by developing and participating in partnerships with Federal, Provincial, and Municipal Governments, Non-profit Societies, Community Organizations, Employers and Individuals. 3.To provide services that enable all people to contribute to the society and economic well-being of British Columbia and Canada; to assist our students and clients in their attainment of individual goals leading to independence and community integration. Do not hesitate to contact us to learn more and don't forget to check out New Directions English School brochure.